Smashbot by Angry Hedgehog Toys! I feel like it’s a little dishonourable sharing this with you now, as it’s still 32 days until ToyConUK 2019 and we don’t wish you to forget this beauty. However, this release is by far one of the best you’ll see all weekend in London come the end of March. 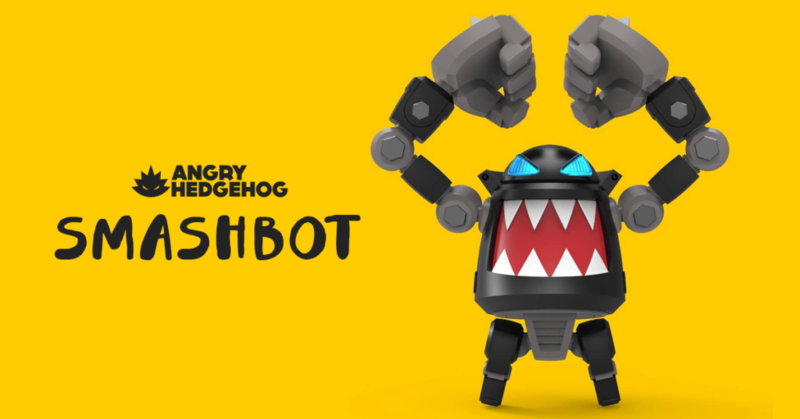 Meet Smashbot by Angry Hedgehog Toys! Smashbot has got fully articulated arms, ball jointed hips, his head turns, and we’ve got some old-skool toy magic going on with light piping for his eyes! This is definitely one for the ages! Smashbot is fully cast in resin and will be available from 30th March at ToyConUK 2019! Bethnal Green is going to be lit! No details on run size or price at this stage, but we’ll bring you these details once they are known nearer the time. In the meantime, go check out Angry Hedgehog Toys on Instagram HERE.